We arrived 10 minutes early, not sure if anyone would remember that Douglas’ first day was coming up on Saturday, and not really sure if the all staff message was meant to include him. It was sent to everyone but being an electronic scheduling system we weren’t sure if Douglas was expected at the meeting. Nevertheless, we made a point to attend, telling ourselves at least it would be an opportunity to pick up a few names and faces before Saturday, make a good impression. A few people gathered around the outdoor picnic tables talking about last weekend’s unexpected rush that lined the sidewalk, and the impeccable taste of the pork and coleslaw that day. “Is the meeting here at 3?” I asked. A woman said “Yep. a staff meeting” and she went back to reviewing her notes scrawled in a composition notebook, preparing for the meeting. “Sup Douglas? Thanks for the card you sent me” Elias said. Douglas nodded and shyly smiled. He was nervous on the drive over and the attention of someone knowing his name caught him by surprise. A few weeks back Douglas was hired at Eli’s BBQ through an acquaintance that Katie had. There was a message on Facebook a while back that said they were looking for help, and we knew that Douglas’ resume included experience in the restaurant industry. Being a foodie himself with a taste for good food, we pursued the opportunity. Douglas was hired, and with his mom, Paula’s assistance, they were sure to send a thank you card for the opportunity. We were now getting close to the big first day after a few weeks of back and forth paperwork, schedule negotiation and all the detail grit work that goes into starting a new job. The staff meeting began as any other, people walking in late, people scattered about the tables in their cliques of co-worker friends, a few with visible tattoos, and a varied collection of people wearing cool t-shirts and aprons smeared with BBQ sauce and smudges from the grill. Douglas wore a black polo and cargo khaki shorts. He and his gym shoes fit in with everyone else. Casual. Relaxed. Ready to work. “People hug me after literally every catering event” one man said during the meeting, laughing. “You’re right. People absolutely love us. We should be proud. You should be proud of your work.” Another man said, with a prominent pork tattoo featured on his forearm. A man obviously proud of his craft. Douglas gets to be a part of the roll and the ranch and the good (and bad) stuff in between starting Saturday as an employee of Eli’s BBQ. The work of how to include people isn’t a tricky business, but it does take creative asks and an honest conversation. “What do you need from us? Anything special we need to do?” the manager, Eric, asked me over the phone a few weeks prior. “Not really.” I assured him and we talked about treating Douglas the same as any other employee but with a little grace and some gentle reminders. (I bluntly reminded him that while Douglas does have a disability, he shouldn’t have special rules when it comes to doing the job he was hired to do. It also meant that he might need some directions repeated and some assistance to learn all the tasks that will be new to him. Eric, the manager, needed to know that Douglas doesn’t drive and has to rely on family or county funded transportation to get to and from work. And while we would do our best to make sure he was never late, how frustrating would it be to not be able to drive to make sure you got somewhere on time?) The manager understood and was happy to have an honest conversation about what was needed and expected to make sure everyone was successful. These are things people don’t know about the lives of people with disabilities, but these are the important things that are okay to say. 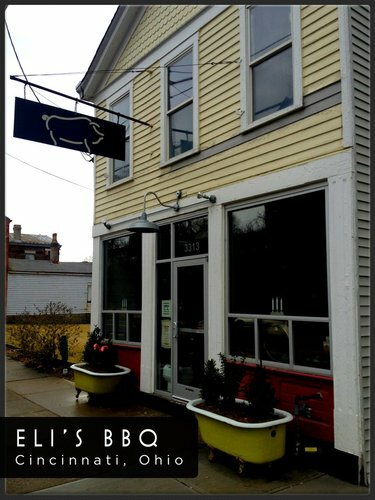 Eli’s BBQ will figure out their pace and way to be inclusive, too. So far, the nonchalance, the-welcome-aboard-new-guy-attitude seemed seamlessly inclusive with a good dose of ambivalence. People said hey but didn’t fawn over the new guy. Douglas, a naturally shy guy, appreciated the “sup” and the lack of commotion over him starting. (No new guy wants to draw unnecessary attention to himself at an all staff meeting.) But, he will be apart of a team– the roll, the ranch, and the sweet meal in between.